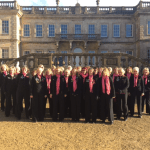 Fascinating Rhythm – Crisp and Even @ Dyrham Park! Crisp and Even @ Dyrham Park! Posted 06.12.2016 by Fascinating Rhythm & filed under Performance. Jolly cold, but it was the most beautiful winter’s day to enjoy a bit of seasonal singing. 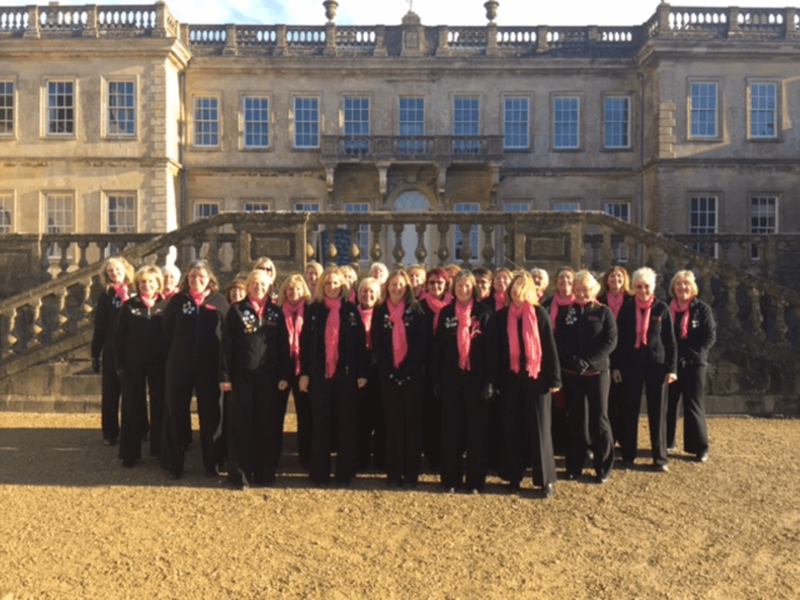 On 4th December 2016, we were pleased to be invited back to sing in the beautiful little church in the grounds of the National Trust’s very popular Dyrham Park where we performed two sets to good audiences. Lovely experience for the youngsters, including those who joined in when the pitch was blown (and not necessarily in the same key). A 46 and the road was eventually closed, but most of us were on time for the first session and the rest arrived after a detour through the village. 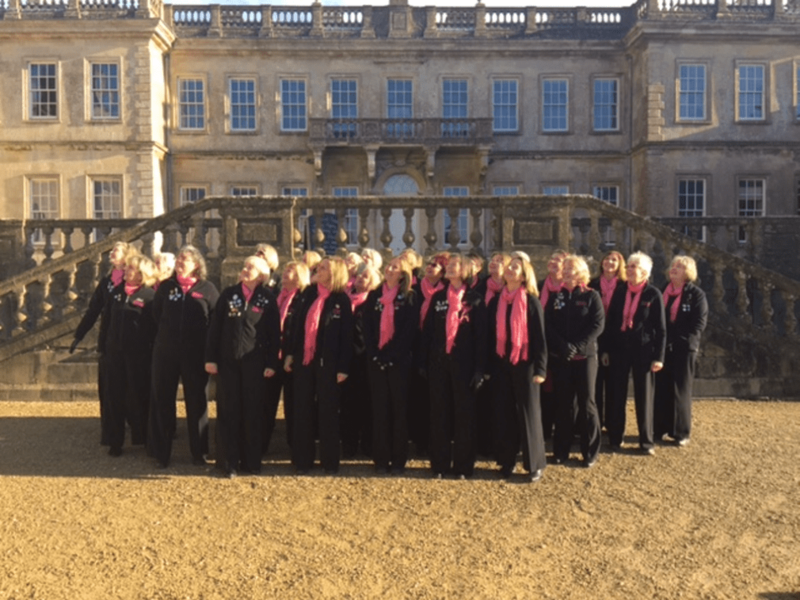 Once again we were very well looked after – tea, coffee and biscuits warmed us through the sub-zero temperatures; very difficult to see the MD when your glasses mist up every time you sing! Oooh – is that Santa doing an early run?